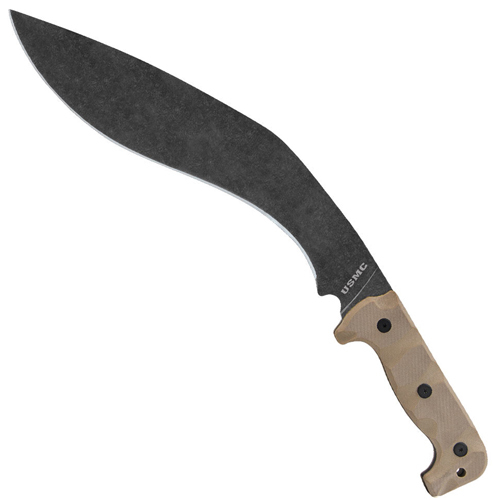 The United Cutlery USMC Desert Sand Kukri looks intimidating in your hands with its wicked curve. The blade is made from a rust resistant 3Cr13 stainless steel with a black stonewash finish. 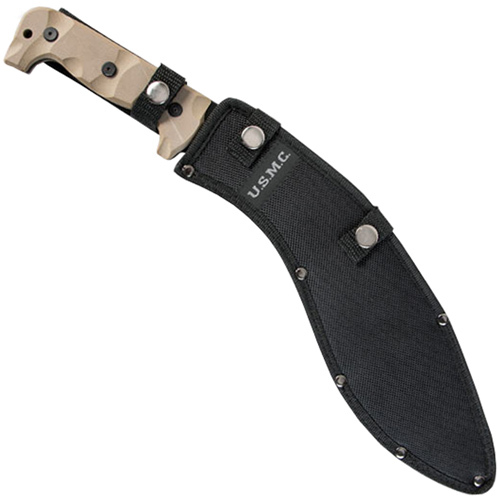 The wear resistant G10 handle is lightweight and easy to grip. A nylon sheath is included.